We are very proud to announce that Still Tomorrow by Fan Jian will be presented at the festival China Screen 2018. When one of her poems is shared more than a million times on Chinese social media, Xiuhua Yu suddenly finds that she is famous. The contrast with her previous life could not be greater. 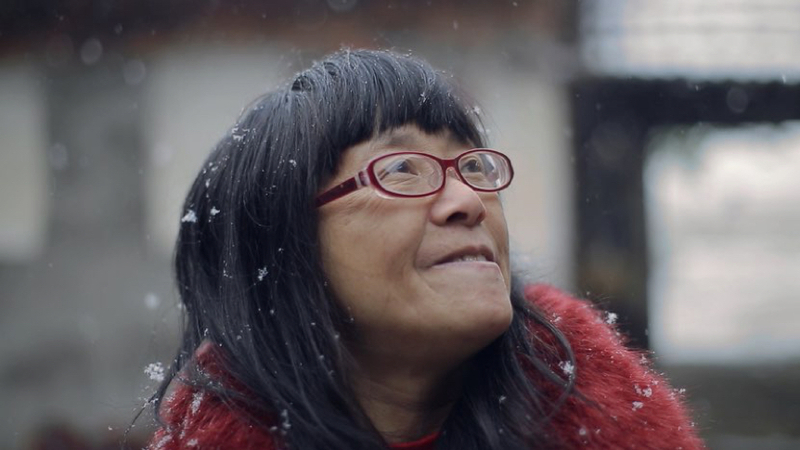 Yu has lived and worked all her life on her parents’ simple farm, and is disabled by cerebral palsy. Twenty years ago, her parents arranged for her to be married to a labourer who has no feelings for her. Fame brings her financial freedom: suddenly, Xiuhua Yu is able to think about a different future, free from her husband. In this frank and intimate portrait, we follow her in the year of her breakthrough. Yu is painfully aware that for a woman with a disability, life will never be simple. However pragmatically she speaks about it, and however eloquently she writes about it, she still struggles to escape her physical and emotional chains.